The world is no more a safe place neither do we always have the time to stay and keep our home safe and secure 24/7. But thanks to the technology that made us feel safe. Nowadays, its easy to find a security camera which is equipped with various features and also affordable. 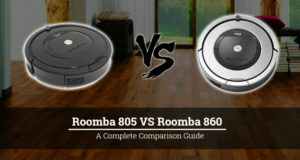 In this article, we are going to compare Blink XT with Arlo Pro. Where you learn about how two competing brands are compared neck to neck with each their advantages over the others. 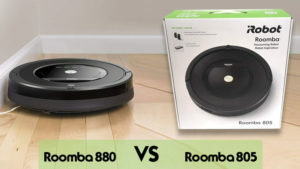 We’ll start with going through the features of both products possess. Then we’ll delve further into the differences. How each of them excels over the other and how you can choose the right security camera to keep your home safe. Weather Proof: This feature allows this camera to be safely installed outdoor and used year-round without having to worry about it drenching under the storm or freezing during winter nights. Fast Response Motion Detector: With this feature, you will get alert to your smartphone right when motions are detected within its view range. This camera has a 110 degrees wide view, allowing you to cover more ground. Live HD Stream: It’s live HD stream gives you live feedback from up to 10 Blink cameras to your smartphone. HD quality reaches 720p for a better view. Infrared Night Vision And LED Illumination: This feature gives you a clear view at night, which is often the most important times to have a security camera stationed outside. Works With Alexa Device: Command your camera from anywhere inside your house without touching your smartphone! Batteries last up to 2 years! : Two AA batteries can last the device up to two years of usage! That is a really good bargain considering you really cannot have your security camera down for the whole night and be bothered to purchase one just because the battery has failed! NO Subscription Needed: This is probably the best feature about the camera because you don’t need to pay any additional expenses to use the cloud storage, features or anything at all! Arlo is a professional company that manufactures security cameras with all the features we never knew we needed. At a slightly higher price than Blink, you are getting some features Blink don’t have – but also at the expense of video quality. Weatherproof: With its weatherproofing feature, you can safely install your camera outside from your home without having any problem in all season. Live HD stream: You can watch the live stream in HD video quality upto 720p from anywhere with your smartphone. It also can store videos and audios for seven days. Support Alexa, Google Assistant etc: Now you can oparate your camera with your voice comand from your house through Alexa, Google Assistant and etc. Also, you can stream videos and audios from any of the other devices such as Google Assistant. Talk Through Your Camera: Its equipped with a built-in mic and push-to-talk capability on the app as well as the ability to record and live stream audio formats. Customize Your Arlo Ccamera With Arlo Smart: If you don’t want the camera to alert every single mundane thing that happens around the perimeter, have it detected only strangers under specific conditions and immediately alert your emergency contacts when you are not around or available to do so. It also comes with a Smart Siren. Infrared Night Vision And LED Illumination: This feature gives you a clear view at night, which is often the most important times to have a security camera stationed outside. The range of view reaches 130 degrees. Arlo Pro also sirens when it detects intruders going into the area you want to keep unwanted guests out of. 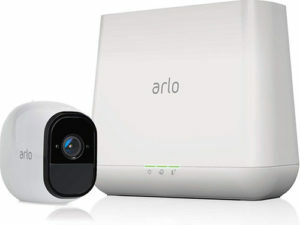 Free Basic Subscription Plan: If you are not looking forward to paying extra, the basic plan is free and allows your smartphone to connect up to 5 Arlo cameras for live feed as well as 7-day cloud storage. 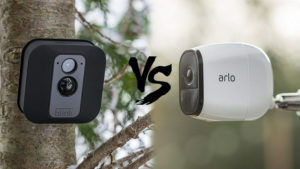 So, what’s so good about Blink XT against Arlo Pro and why should anyone be bothered to spend more for Arlo Pro if Blink XT has got everything you need? Price-wise, Blink XT is much cheaper compared to Arlo Pro. 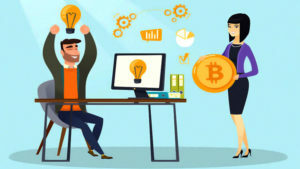 No subscription plan is needed if you want to connect up to 10 cameras for a live feed stream or to use the cloud storage. All you need is to purchase the units and that’s it. As for Arlo Pro, storage only keeps videos and audios of the last 7 days of up to 5 cameras for the free basic plan. If you want more, you will need to upgrade. Dual-way audio is a deal breaker for Blink XT. One thing about using a security camera these days is that they also act as our way to communicate with people when they ring our doorbell. Most of the time, we don’t want to spend too much time trying to tell that salesman we don’t need to buy whatever he’s offering. Other times, it allows the elderly at home to reply without having to rush to the front door to do so. Lasting batteries is another important feature from Blink XT. We all don’t want to be bothered with having to find new batteries every 6 months for a security camera that has to stay outdoor 24/7 for 365 days. Being wireless doesn’t mean you have to get them charged every few hours! Arlo Pro, on the other hand, applies fast charging technology on their batteries. Arlo Pro alerts you and intruders by sending a loud siren that will surely attract attention. The thing about siren is that they don’t just alert your neighbors, but also cause anyone breaking in to panic and leave in a hurry. In hindsight, Arlo Pro does seem like the better choice due to having more useful features compared to Blink. It comes with the ability to communicated with the person in front of your door even when you’re not home! 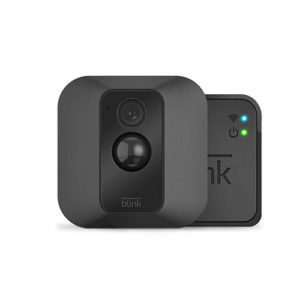 However, Blink XT has everything you need without having to be subscribed to anything and this is at a lower price compared to Arlo Pro. Hope you like our comparission between Blink XT vs Arlo Pro.